This Bavarian-inspired town in Michigan captured my heart the first time I saw it. A quick drive through town revealed murals, a covered bridge, beautifully landscaped flower beds and fountains. There’s even an authentic Glockenspiel clock imported from Germany, retelling the story of the Pied Piper. 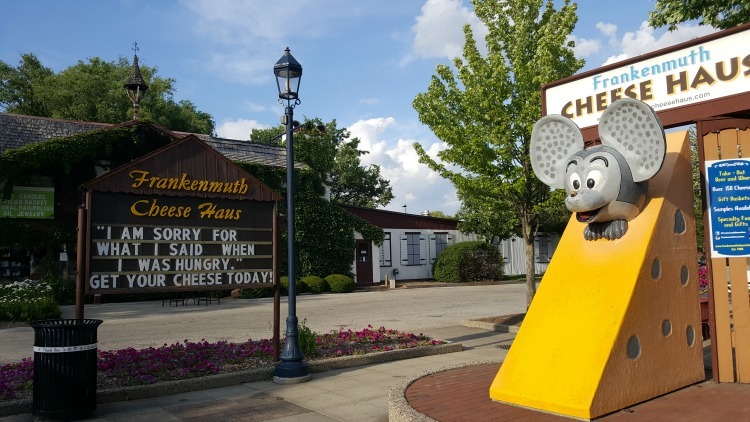 Lucky for Ohio TravelingMom, Frankenmuth, Michigan, is an easy four-hour drive from her Central Ohio home. And lucky for you, this town is not just historic; it’s also fun. Frankenmuth, Michigan, is already known for its Bavarian architecture, family-style chicken dinners, and Bronner’s, the world’s largest year-round Christmas ornament and décor store. 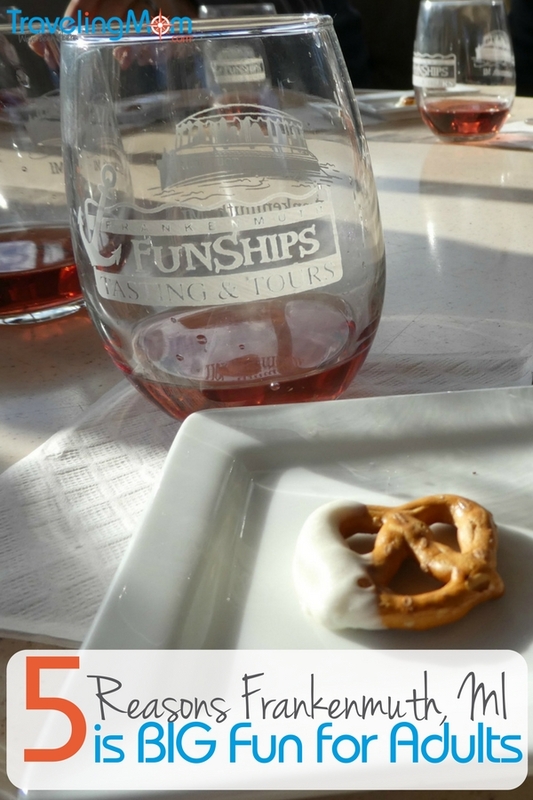 But did you know that Frankenmuth also has a growing foodie scene and its home to the oldest brewery and winery in the state? While you’ll find plenty of things to do with the family, as Ohio TravelingMom discovered, it’s also a fun, adults-only getaway located in the Midwest. 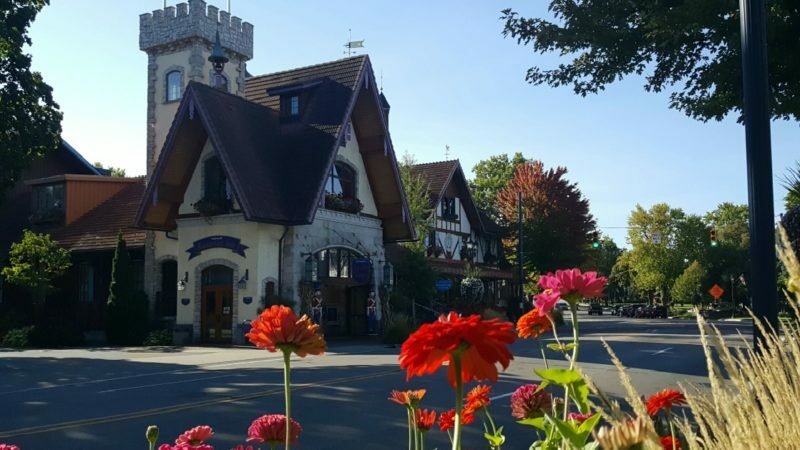 Frankenmuth may be best known for the famous family style chicken dinners that draw millions of visitors to Zehnder’s and the Bavarian Inn annually. But those aren’t the only restaurants in town worthy of mention. I loved the eclectic décor of Tiffany’s Food & Spirits, housed in a 1904 era hotel. This establishment features stained glass lighting, murals and something to catch your eye anywhere you look. 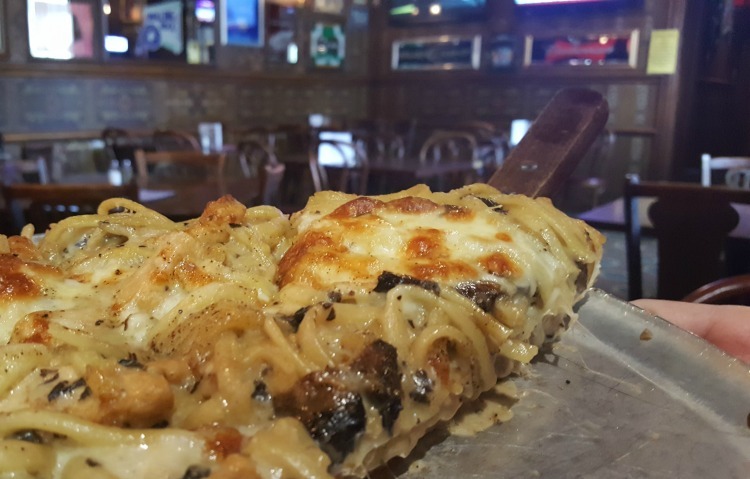 Tiffany’s specialty is the famous “PastaPitza”, hand-tossed pizza topped with Fettuccine Alfredo, Lobster Pasta, Lasagna and other pasta favorites, including gluten-free options. I wasn’t sure what to expect, but the Chicken Portabella Marsala was especially yummy. If you’d like to imbibe, chase down your lunch with a Cinnamon Toast Crunch shot before heading out to shop along Main Street. The Frankenmuth Brewery features traditional German and quality American craft beer. It is still located in the original 150-year old building where it started. The brewery is Michigan’s Original Craft Brewery and one of the oldest breweries in the country. Take a tour of the brewery and learn about the ghost that may or may not haunt the cellars. Order a beer flight. 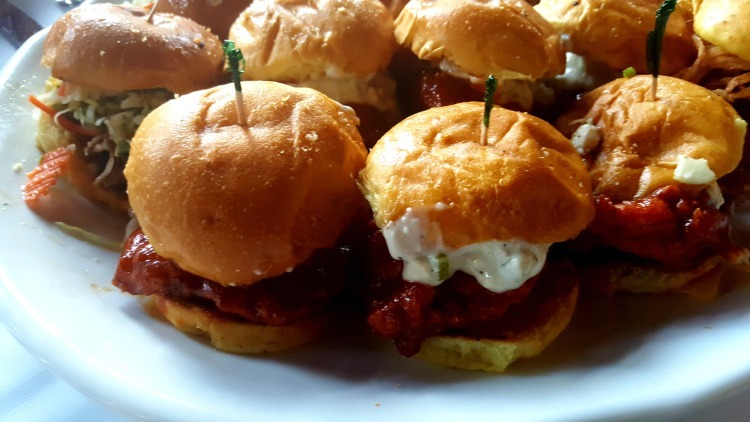 Continue your visit with tasty appetizers, sliders, burgers, or an artisanal pizza. 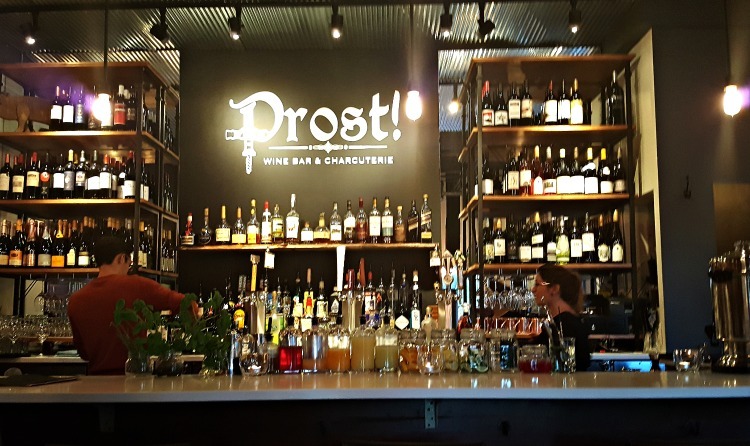 I loved the vibe and intimate feel in this beautifully decorated wine bar located along Main Street. With indoor and outdoor dining, the rustic-chic setting is the perfect place to sip a cocktail or glass of wine with friends or that special someone. It seems to be a very popular place to dine, so you may want to call ahead for seating. Enjoy a relaxing narrated boat ride down the Cass River. Learn about the waterway and history of Frankenmuth. This is a great warm weather tour. Guests get a chance to rest their feet and take a break from the nearby River Place Shops shopping complex. If you plan to take photos, make sure you line up early for a seat along the railing for optimal views. Those coveted seats fill up fast. Take it from my disappointing view from the seats in the middle of the ship. If you’re looking for a ride down the Cass River that is a bit more interactive, consider an entertaining and informative cruise on a 12-passenger electric boat with Frankenmuth FunShips. 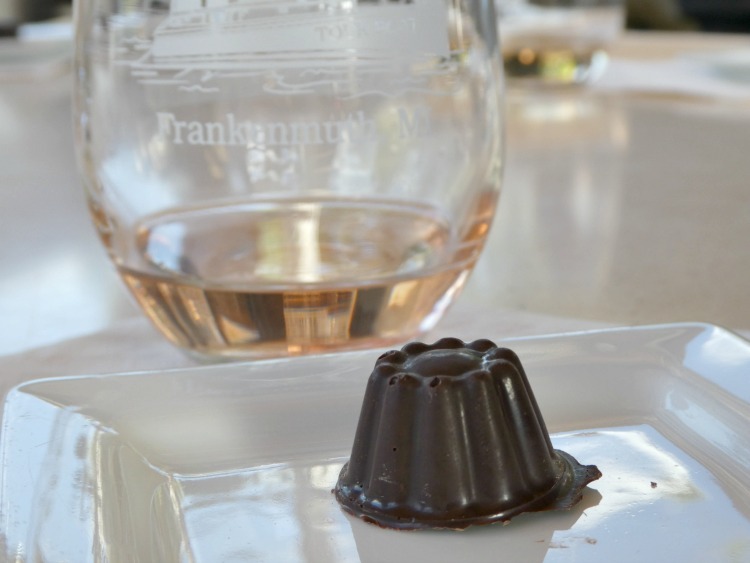 Tours include a Wine & Chocolate Tasting Cruise which pair Michigan Wines with their handmade chocolates for a tasty experience that you’re not likely to forget, at least I won’t. If you’re interested in a more traditional wine tasting experience, visit St. Julian’s Winery, the oldest, largest and most awarded winery in the entire state of Michigan. Choose your adventure and travel back in time to the Prohibition, become a hostage on Blackbeard’s pirate ship, or conduct a heist in an art gallery, then put your problem-solving skills to work as you race against the clock to solve your mystery and escape your locked room in under 60-minutes. 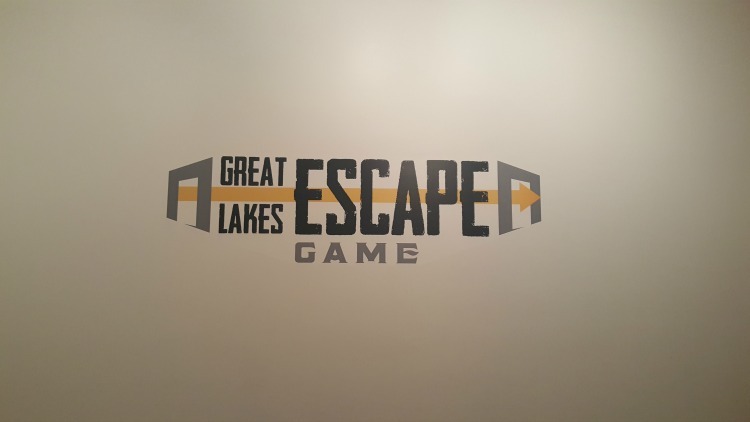 Great Lakes Escape is so much fun that you’ll want to play each game before you leave town. I know I’m not talking about kids in this post. But my young adult children told me they couldn’t remember the last time they’d had so much fun with me and their dad. This attraction appeals to a broad age range. It’s not my cup of tea, but for the more adventurous who aren’t afraid of heights, this aerial adventure park offers guests five trails of varying degrees of difficulty and over 60 challenge bridges. Trails are color-coded so guests choose their own adventure or trail according to their level of confidence on the course. 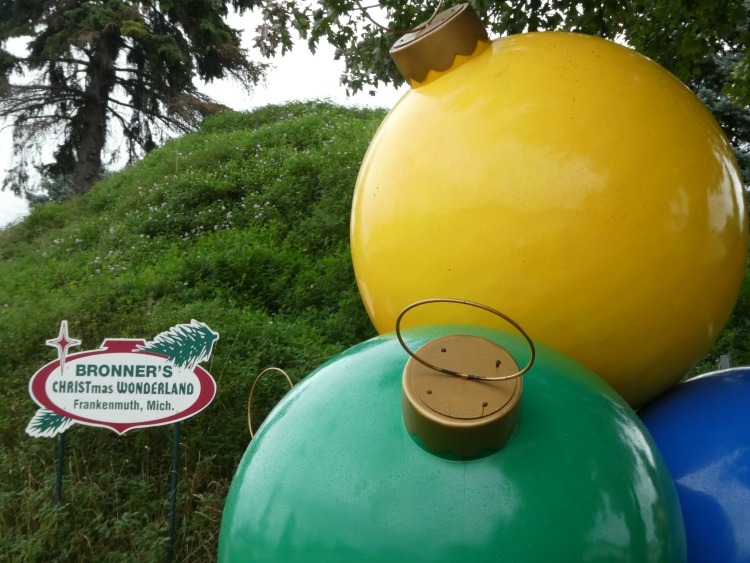 From Bronner’s, the World’s Largest Christmas Store, to the Castle Shops located beneath the Bavarian Inn, to the River Place Shops located along the Cass River, to the cheese, taffy, leather and clock specialty stores that line Main Street in Frankenmuth, you’ll find exactly what you’re looking for. I could have spent all day at Bronner’s and not just indoors. The parking lot is like a roadside attraction lover’s paradise. With a larger than life Santa, huge Christmas ornaments, and large nativity, you’ll find many photo ops. Plus, each night, 365-days a year, Bronner’s lights up the parking lot with a Christmas light display. You can truly celebrate Christmas every day of the year in Frankenmuth. While it was created with the young visitors to Frankenmuth in mind, the Gnome Hunt quickly became popular with adult visitors as well. Start your visit to Frankenmuth in the Visitor Center and pick up a list of the shops and attractions around town where an official gnome can be spotted. Once you find ten or more, return your scavenger hunt sheet to receive a token to help you remember your visit to this Bavarian-inspired town. 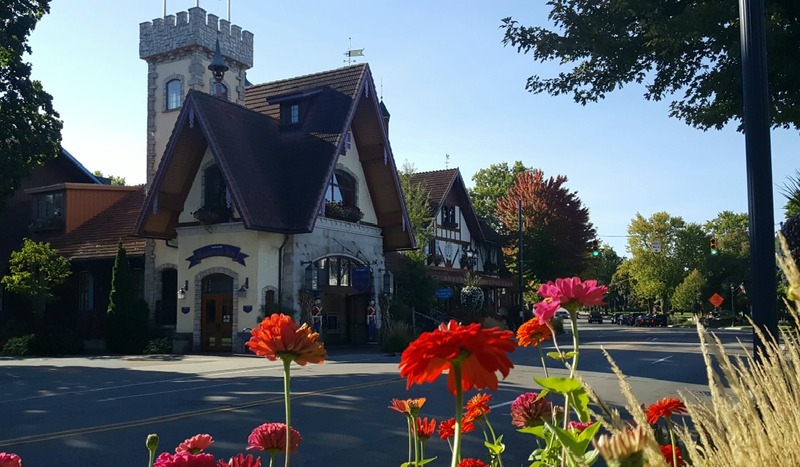 If you plan to visit Frankenmuth with kids, read 6 Things to Know Before Booking: Zehnder’ Splash Village in Frankenmuth and Family Fun in Frankenmuth Michigan.